How does it relate to personal and professional growth? Are you stuck? How do you move out of this place? What barriers must you overcome to do this? Being Stuck in the Middle Seat® represents any number of things, and those things generally are not pleasant. Of course, at its most basic and literal level, it can refer to a physical location. You're in a house, office, or physical environment that is uncomfortable. Perhaps it is too noisy, you don't get along with your neighbors or your basic safety needs are not met. More often, however, it is a metaphor for a state of mind or an attitude. You're in a career, relationship or state of mind that isn't optimal, yet for some reason you don't take the steps to change your situation. In essence, you're "stuck." Don't worry, you're not alone. Moving beyond being Stuck in the Middle Seat® is a challenge each of us face. Another way to look at being "stuck" is with your employee, customer or client relationships. Perhaps you have enjoyed a long period of business success, or market dominance and feel pretty comfortable. On closer examination, however, is there any chance you or your team have you grown a bit complacent or feel "entitled" to your success? The first step in losing market share is when a leader or organization begins to rest on its laurels, and grows complacent. Success can lead to complacency … "We're the best, why change?" Complacency can lead to arrogance. "We know the market better than anyone else, including our employees and customers." Arrogance almost always leads to a disconnect from the customer and eventual failure. We all have the power to change our place in life, both personally, and professionally. In essence, we all have the power to choose to move beyond being Stuck in the Middle Seat®, to move beyond being the "victim." It all boils down to our willingness to take some risks, and to venture into somewhat unchartered territory. Path #1: Blame others for your uncomfortable (metaphorical) position of being in the middle seat. Never admit the problems. Never strive to fix the problems. Remain the "victim." Path #2: Welcome change. Take control. Take calculated risks. Communicate. Stay balanced. Admit problems exist, then take action to your balance and get out of that middle seat! The journey of excellent service and leadership can be a challenge you choose to accept or reject. The choice is yours. Which path will you take? Let the journey begin! Doug Lipp, an internationally acclaimed expert on customer service, leadership and diversity, motivates and challenges audiences around the world as a consultant and speaker. 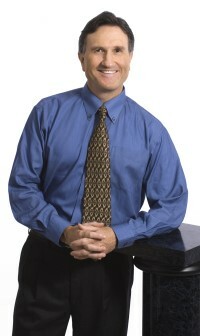 Doug is Disney’s former Head of Training at the corporate headquarters in Los Angeles. Like to know more about Doug?